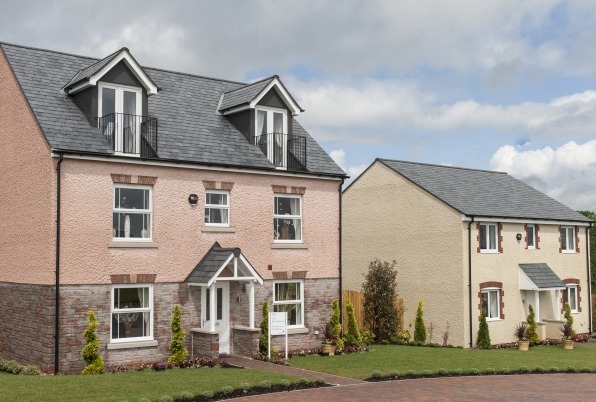 We are developing Cranbrook, the new community in East Devon, as part of a consortium of three developers. Our Strategic Land and Planning team secured part of the site, which was combined with land secured by the other consortium members, and together the consortium achieved outline planning consent. This process has taken about 15 years because of the size and nature of the proposed development. The outline planning consent is for 2,900 homes and a full range of other facilities, including a town centre, schools, open space, and the necessary supporting infrastructure to create a sustainable new community. Construction of the first phase of the development is now well underway and approximately 1,600 houses are now completed or nearing completion (as at December 2016). All of the shop units in Phase 1 are now occupied too - with a hairdresser, estate agent, takeaway and convenience store now open. The first primary school and community centre have been open since 2012. The community centre has provided a valuable asset to local residents and is extremely well used by the local community for sports, social activities and events. 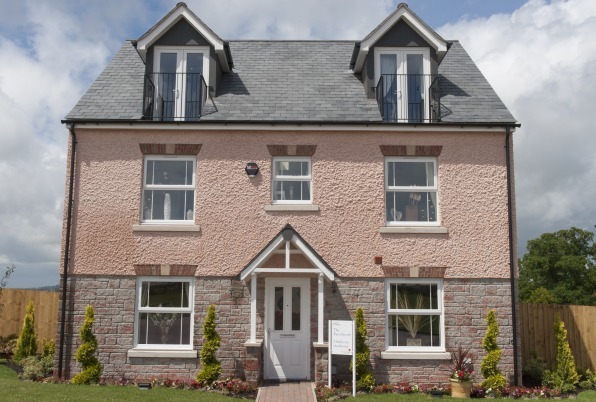 In 2010, the consortium agreed a Memorandum of Understanding with East Devon District Council that allows for the number of homes to be increased from 2,900 to 3,500. Detailed planning permission was granted for the additional 600 homes and supporting infrastructure in 2014 and construction is now underway. The design of the town centre is also progressing and a public house is due for completion in 2017. Other retail/commercial units will follow soon. As part of the consortium, our Strategic Land and Planning team put in place the Developer’s Consortium Agreement, negotiated the Section 106 Agreement, and secured infrastructure funding. Our regional office in Exeter then took over day-to-day responsibility for delivering the development alongside the consortium partners. The future expansion beyond the 3,500 houses is now also being formally considered by East Devon District Council. Applications have been submitted by the consortium of developers to the local authority for an additional 4,200 houses on land to the west, east and south of the existing Cranbrook development. The proposed expansion would deliver additional homes along with a full range of supporting facilities expected to include additional schools, employment, local retail provision, open space and sports facilities. We have engaged with the community throughout the planning process and keep local people up-to-date with the development’s progress by sending out regular newsletters; the first of these was published in October 2011. Consultation events have been held to inform local people about the proposed expansion of Cranbrook and further events or newsletters will keep people informed as the plans evolve. Grant funding of £16.6 million from the Homes and Communities Agency for affordable housing (through the National Affordable Housing Programme) and public infrastructure provision. A loan of £12 million from the South West Regional Development Agency (through the Regional Infrastructure Fund) to secure delivery of one primary school, the Clyst Honiton bypass and the link road into Cranbrook. Growth Point Grant Funding (a Government initiative to support local authorities with plans for long-term sustainable growth) of £6 million for the delivery of the multi-purpose community building and to help fund the delivery of the bypass. A further £15 million has been secured to fund building the second primary school and roads to provide access to it. A Combined Heat & Power (CHP) system, run using gas and biomass fuel, will supply both electricity and heat to the homes at Cranbrook and the buildings on the neighbouring business park. The CHP system will save over 10,000 tonnes of carbon dioxide per year and will help the Cranbrook residents by reducing their energy bills and providing them with heat and hot water (the homes do not have individual boilers or hot water cylinders, which further reduces the running costs of the homes). Surplus electricity generated by the CHP will be sold to the National Grid. The consortium has signed up to a Master Agreement with energy provider E.ON for the construction of this £25 million energy centre and its on-going management and maintenance. A management company, Cranbrook Limited, has been established. It will own and manage the community buildings and public open space that are not adopted by the local authority. Maintenance charges will be paid by the homeowners to help fund the work of Cranbrook Limited. The infrastructure needed to support 3,500 homes and a town centre will cost £85 million (of which we will be paying about £25.5 million). Within the new development boundary this includes roads, sewers and services, but we are also making contributions to a number of infrastructure projects that are needed outside the boundary. For example, a bypass around Clyst Honiton (a historic village to the west of Cranbrook), which includes an 80-meter tunnel made of concrete and designed as a safety measure for traffic passing the end of Exeter Airport’s runway, was finished in July 2013. We are delivering two primary schools (costing about £4 million each) and an education campus. The first primary school opened in September 2012 and the second opened in September 2015 as part of the secondary school education campus. We have also built a multi-purpose building for the community which opened in 2012. It is home to a range of services including a doctor’s surgery, library, town council offices and a community hall. Further community and leisure facilities are also proposed in the town centre. A railway station on the Exeter to London Waterloo line was also proposed as part of the original masterplan. Cranbrook Station opened in December 2015 providing hourly train services from Cranbrook into Exeter and a real green transport alternative. A second railway station is being considered and will be the subject of discussion and negotiation with the relevant stakeholders in the coming months.